Here's a sampling of what we're typically up to. Reclaimed patterned table top with custom steel base. Reclaimed outdoor table, bench and shop dog. Large coffee table made form late 1800's wall studs. This material was pulled from a remodel project in Denver's Curtis park neighborhood. Media console made from late 1800's wall studs. This material was pulled from a remodel in Denver's Cole neighborhood. Large coffee table made from 1800's wall studs. This material was pulled from a remodel in Denver's Whittier neighborhood. 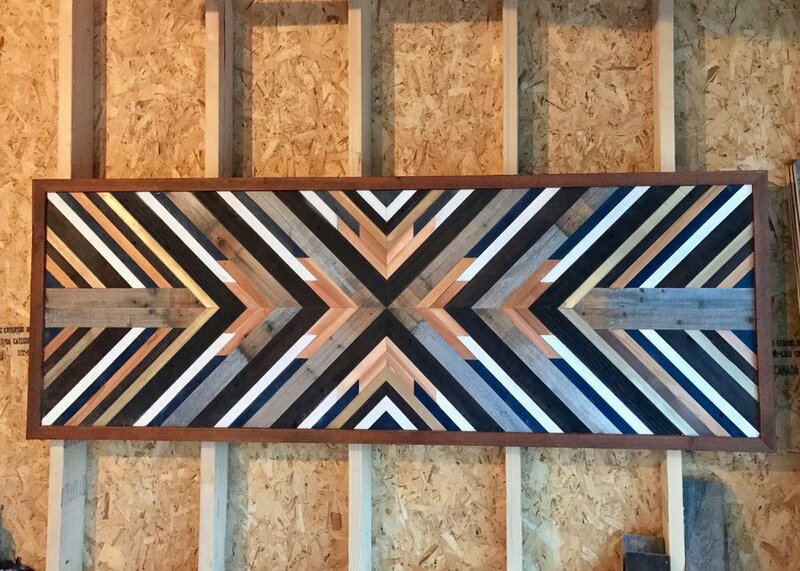 Large reclaimed wood wall piece. Reclaimed wood chest on casters. Coffee table made from late 1800's wall studs. This material was pulled from a remodel in Denver's Curtis Park neighborhood. Reclaimed wood outdoor coffee table.